The Palazzo Condominium is located along Jalan Kelawai, George Town, Penang. This luxury condominium project consists of one 17-storey condominium block with only 15 units in total. 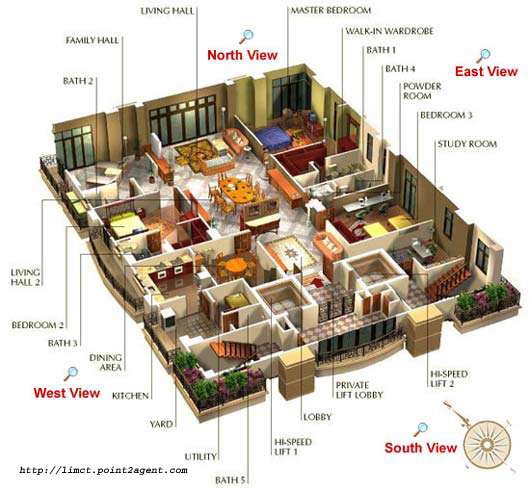 Each condominium unit has a built-up area of approximately 4,000 sq.ft. The neighbourhood condominium block of The Palazzo include H Residence, Gurney Beach Condo & 11 Gurney Drive Condominium. Built-up Area : approx 4,000 sq.ft. 24-hours security, car park, gymnasium, swimming pool, management office, community hall, children's playground.